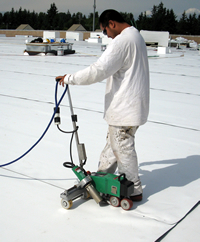 Roofing Waterproofing Resources. Premier Roofing Waterproofing. Seattle, Bellevue, Everett, Tacoma, Bellingham, Olympia, Washington, US. Premier Roofing and Waterproofing is a certified installer for these fine roofing and waterproofing products. Request a free roof inspection today or contact us for a free waterproofing consultation.